There’s no shortage of options when you’re shopping for a midsize SUV. Popular demand has spawned similar vehicles from just about every automaker you can think of, making it somewhat challenging to find the one that has everything you need and want – and fits your budget, too. In the interest of saving you time and a headache or two, allow us to direct your attention to what just might be the best offering in the midsize SUV market: the Toyota Highlander. This well-rounded SUV from one of the world’s most beloved and trusted brands is likely to check off all the boxes on your list of needs and wants. With its powerful performance, spacious and high-end cabin, and huge selection of standard and available features, the Highlander answers the call for a midsize SUV that does just about everything. And then you can factor in that the Highlander is a Toyota, a name that carries the weight of decades’ worth of dependability, reliability, and long-lasting value. Now you have a better picture of the Highlander’s incredible desirability. The only way to get the full picture, however, is in person. Nothing can replace a test drive for showing you if a vehicle is a good fit for you and your driving needs. Houston-area drivers? Your source for new and used Toyotas is conveniently located and packed with Highlander models. 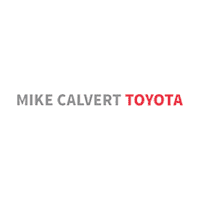 Of course, we’re talking about Mike Calvert Toyota, where our selection is huge, our prices are low, and our service is spectacular. Visit us today and get to know everything there is to love about the Toyota Highlander. The 2019 Toyota Highlander is available in several unique trim levels. The base LE gains automatic emergency braking, a height-adjustable driver’s seat, a reclining 60/40-split third row seat, a sliding and reclining 60/40-split second row seat, rear air conditioning, a rearview camera, adaptive cruise control, forward collision warning, a 6.1-inch touchscreen, lane keeping assist, a six-speaker sound system, Bluetooth®*, automatic high beams, rear privacy glass, and a CD player. The LE Plus comes with a leather-wrapped steering wheel, tri-zone automatic climate control, HD radio, blind-spot monitoring, satellite radio, and more. The SE adds 19-inch wheels and LED running lights. The Limited gets you heated and ventilated front seats, driver-seat memory settings, rear parking sensors, and more. The top trim, the Limited Platinum, provides automatic wipers, front parking sensors, a surround-view parking camera, and a panoramic sunroof. A spacious interior and long list of standard and available features made the Toyota Highlander an instant hit among drivers when it appeared on the North American market in 2001. Redesigns in 2008 and 2015, plus a styling refresh in 2017, have kept the Highlander on the cutting edge, staying modern, stylish, and loaded with the most desirable features drivers are looking for. From safety to capability to entertainment, convenience, and comfort, the Highlander continues to impress drivers in an increasingly competitive market segment. Why Should You Buy or Lease a Highlander from Mike Calvert Toyota? At our Houston-area dealership, we are committed to offering you amazing prices on every model in our incredible selection of new Toyotas and pre-owned cars, trucks, vans, and SUVs. That’s why drivers in Bellaire, Pearland, Sugar Land, and beyond turn to us for all their automotive needs. Become one of our valued customers when you visit us today and find a great deal on your Toyota Highlander.